In this article you will learn how to setup QuickBooks Merchant Services as your payment gateway inside of Cloudbeds. Note: Before starting these steps, you must already have a QuickBooks Merchant Services account. Step 1: Go to myfrontdesk account. 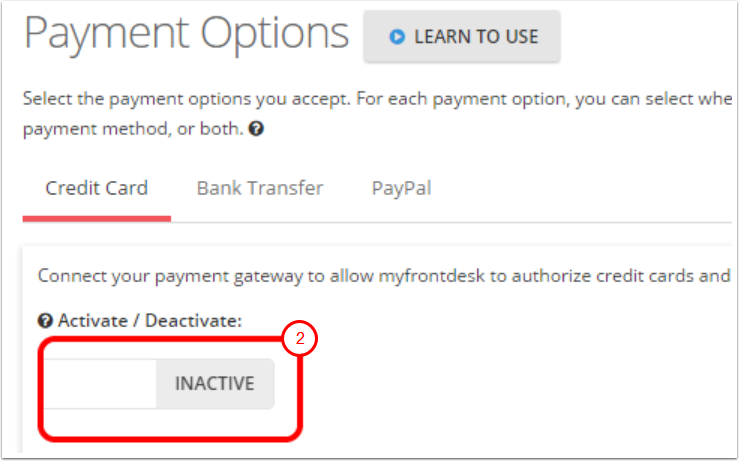 Click on the settings gear icon and then select "Payment Options"
1. Select from the list of options select "Quickbooks Merchant Services"
3. Enter QuickBooks Connection Ticket. *A connection ticket needs to be created within Quickbooks. You can learn how to do that, by clicking here. 4. Click "Connect Gateway" to save your credentials. - Select "create new payment (QBMS) app"
-On the results page, you will see your App ID and App Login. Take note of these for when you create the connection ticket. -Once completed, go to "App Details" and change the gateway status to active and then select save. -From there, go through the process again of creating a connection ticket with the new info. If you have multiple properties, they will each need their own connection ticket. 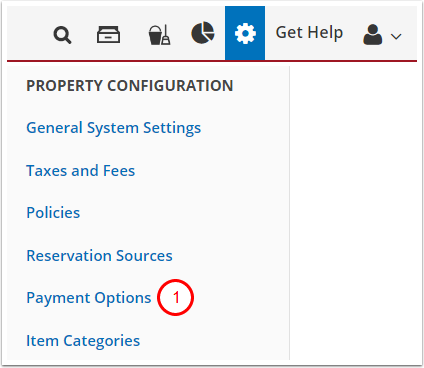 If you have multiple properties and each property has it's own quickbooks account, you will need to create a separate app and corresponding connection ticket for each.